There’s a reason everyone’s favorite little dress is black, and this month we are highlighting the one color that truly never goes out of style. 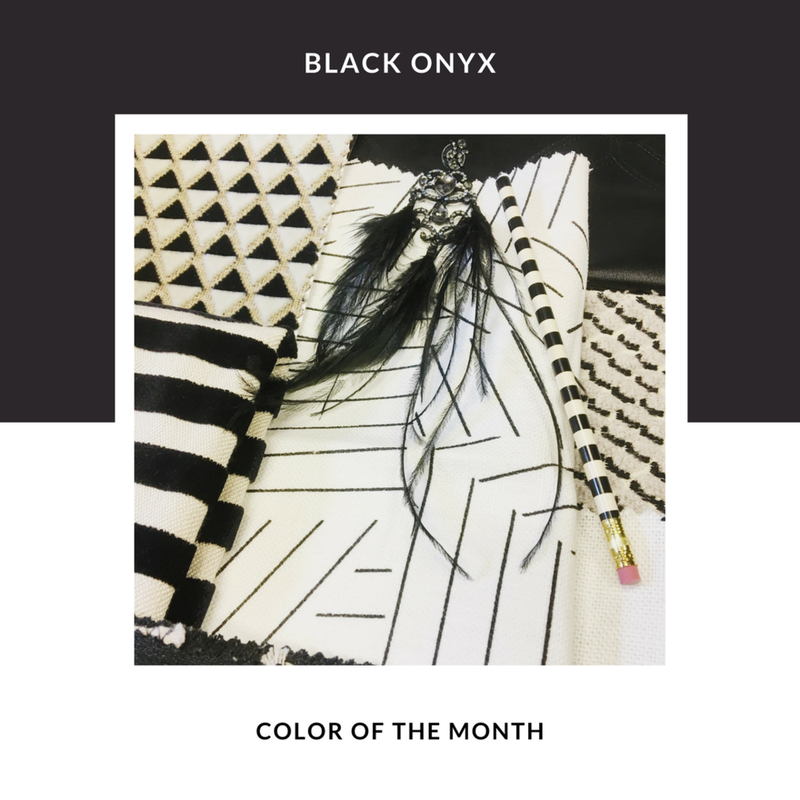 Black Onyx is a timeless shade that has long proven to flatter nearly any person and home, and for June we are finding ways to incorporate this staple into our designs. Even though it has often been considered to be the backdrop for other colors to shine, we hope to find ways to make Black Onyx the star! VISIT OUR PINTEREST BOARD TO GET SOME COLOR INSPIRATION! We love the sophistication that black can bring to a room. And because of this, we are trying to incorporate this classic color as much as possible.